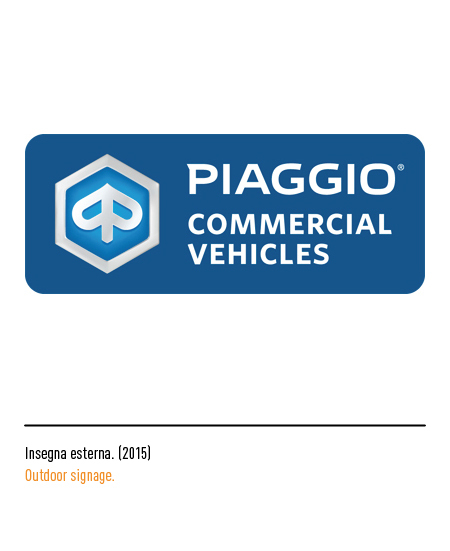 Piaggio's history is connected with that of the vast sector of naval, rail-road, and aeronautical transport in Italy. 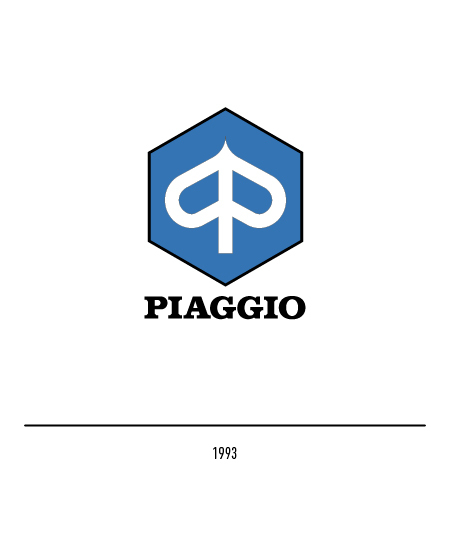 Established as a carpentry firm by Rinaldo Piaggio at Sestri Ponente in the Province of Genoa in 1884 its main activity was initially in the marine wooden furniture and fittings sector. 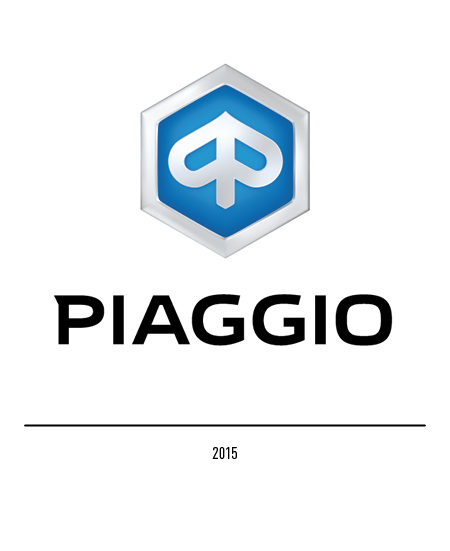 Indeed, for years the most important vessels launched by Ligurian ship-yards were out-fitted by the firm. After a period of steady growth, in 1901 the firm had grown enough to take on the repair of rail-road vehicles, for which it moved to new facilities at Finale Ligure, always in the Province of Genoa. From thence it extended its business interests to the aeronautical sector, becoming internationally acclaimed for its activity in this sector between the two World Wars. In 1916 production was moved to Pontedera in the Province of Pisa. 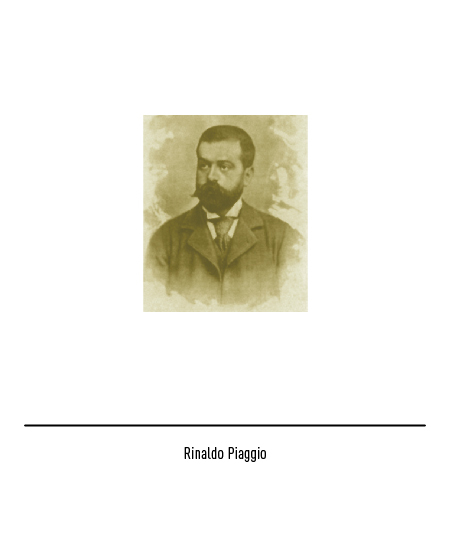 After its founder's demise the firm was taken over by his son Enrico. Heavily damaged during the Second World War and with reconstruction of the firm's industrial facilities under way, in 1946 Enrico decided to specialise in the production of motor-scooters. It was to to prove a winning move given the popularity of this means of transport. 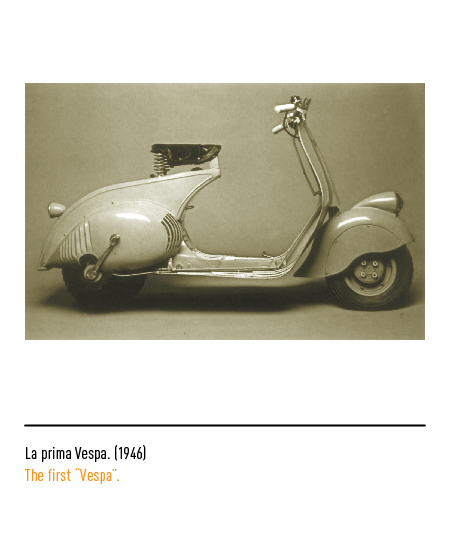 Designed by an aeronautical engineer, Corradino D'Ascanio, the first "Vespa" ("Wasp"), as the Piaggio scooters were called, rolled off the assembly lines at the Pontedera factory in 1946. 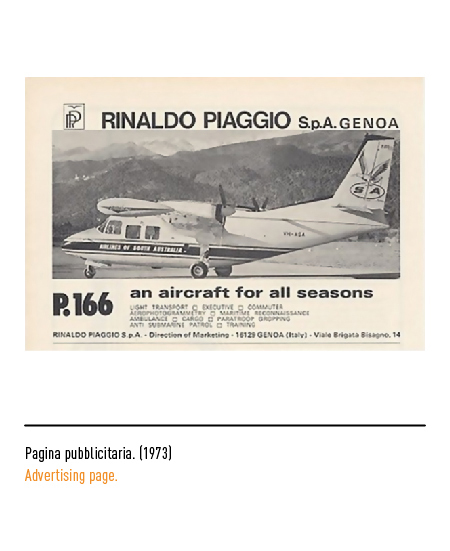 In 1964 the firm split and two companies were set up, one for the aeronautical sector called "Rinaldo Piaggio Industrie Aeronautiche Meccaniche", and the other for the motor vehicle sector called "Piaggio & C.". 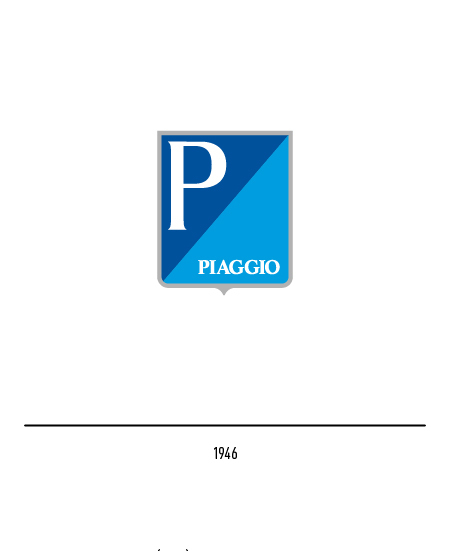 The former's trade-mark featured the initials of its founder with a stylised bird, while Piaggio's trade-mark came out in 1946 and comprised a shield diagonally split into two sections with the letter "P" in the blue half and the Piaggio logotype in a miscellany of block and serif lettering in the pale blue one. 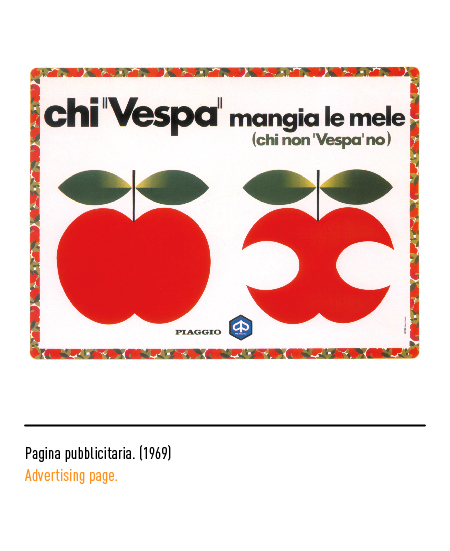 In 1966 a public competition calling for entries for a new trade-mark brought in many proposals. The winning entry portrayed a pike against a pale blue background within a hexagon cleverly arranged to look like a pair of "P's" one the reflection of the other. Actually, it proved open to interpretation. 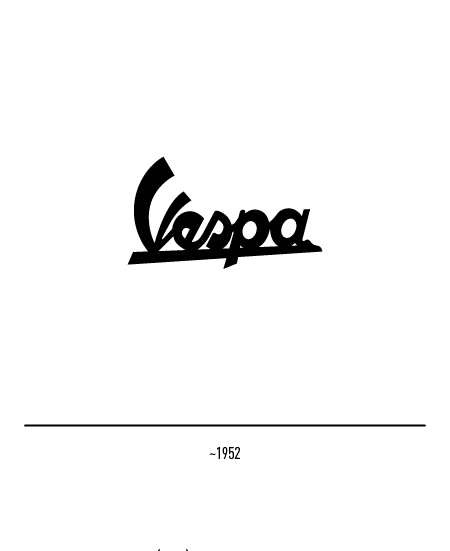 Some commentators thought it represented two stylised insects with outspread wings and hence "wasps" or "bees", names directly associated with the two major products of the company. The assumption seemed to be further borne out by the enclosing hexagon that was interpreted as a hive. 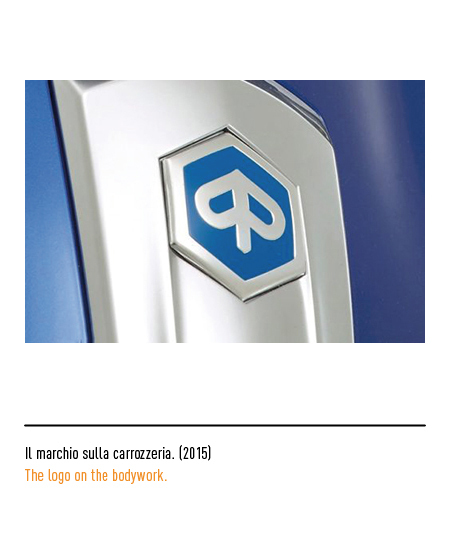 In 1993 the trade-mark was designed anew by Giovanni Brunazzi in line with a redefinition of corporate identity. 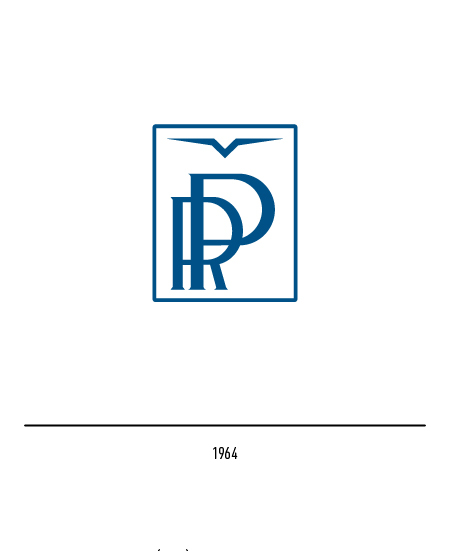 It was however decided not to break with the previous image so that the job mainly entailed disencumbering the trade-mark by lightening weights and frames and hence enhancing legibility, even when reduced. 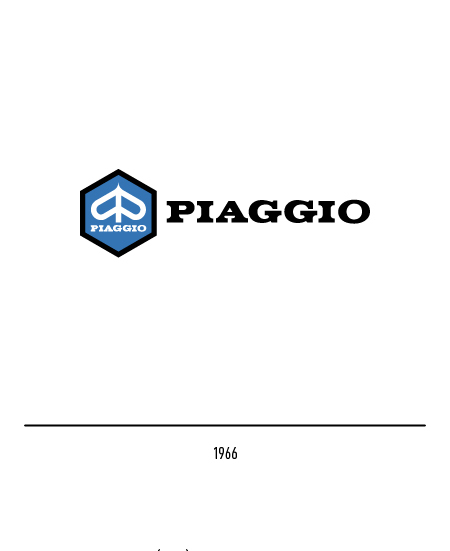 The wording Piaggio was in fact taken out so that symbol and logotype relate to each other in a far more functional and modern way. 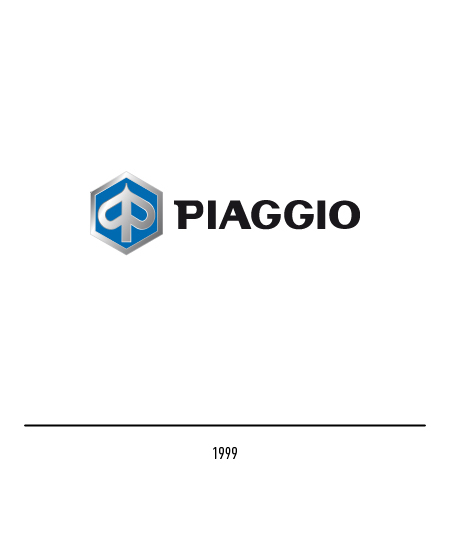 A chiaroscuro effect and a modernised lettering without serifs were the two restyling touches introduced in 1999. 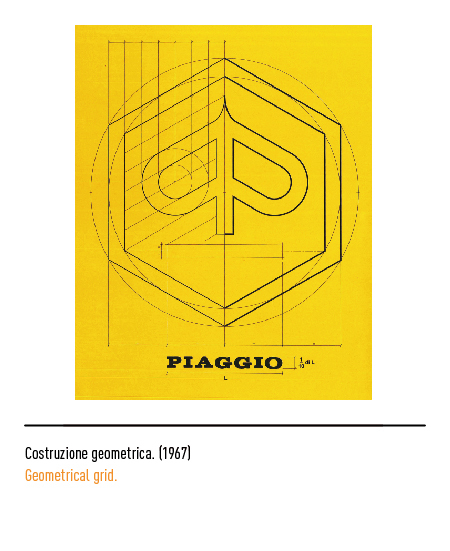 In 2015 another restyling, done by Interbrand, makes more evident the hexagonal frame while the font has used auctions with the same thick. 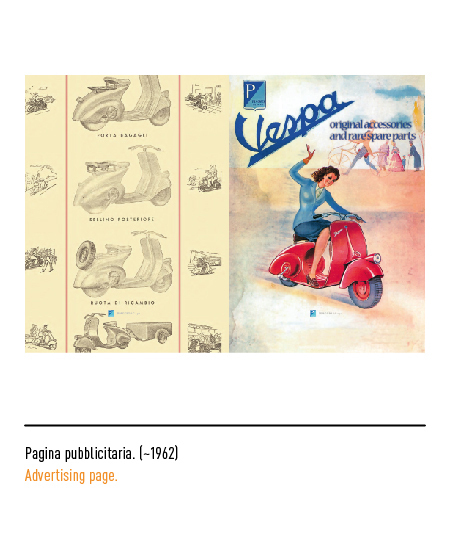 AAVV, LE MOTO, Istituto Geografico De Agostini, Novara e Editoriale Domus, Milano, 1976. 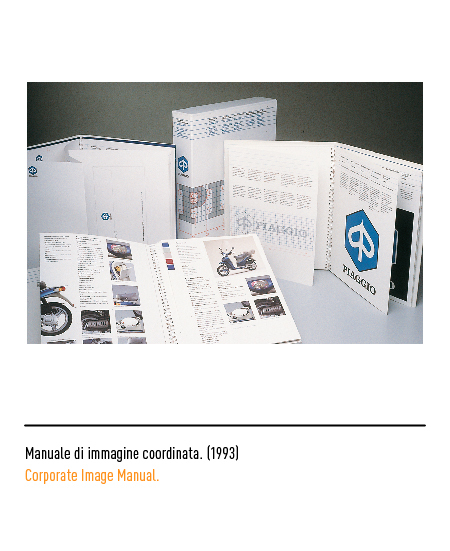 Mara Campana, “Più di un manuale”, in Linea Grafica, n. 4, luglio 1993, Azzurra Editrice, Milano. 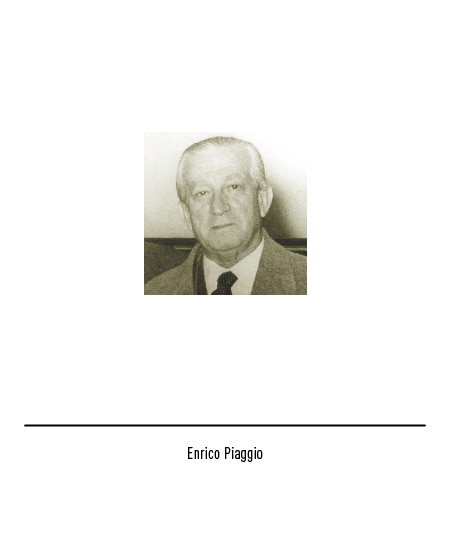 MOTOCICLISMO, a cura di Luigi Bianchi, Edisport Editoriale, 1997. 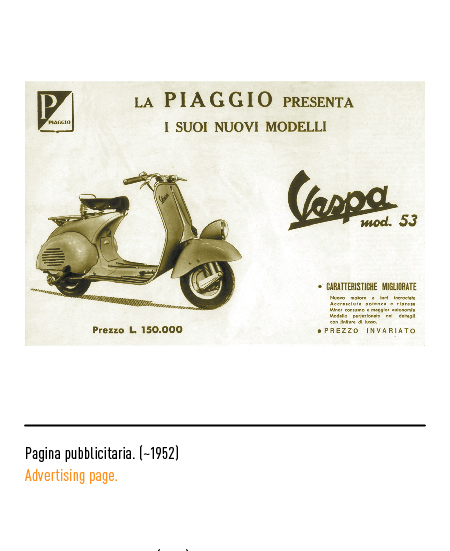 Tommaso Fanfani, I 110 ANNI DI STORIA DELLA PIAGGIO: UNA LEGGENDA VERSO IL FUTURO, 1994. 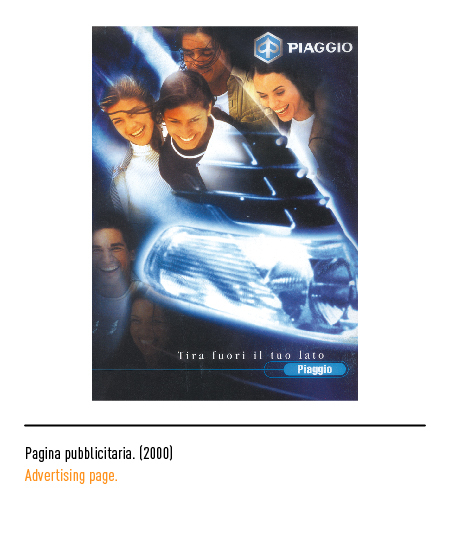 Enrico Leonardo Fagone, “La moto del terzo millennio”, in Ottagono, n. 129, 1998, Editrice Compositori, Bologna. Giovanni Brunazzi, HELLO! 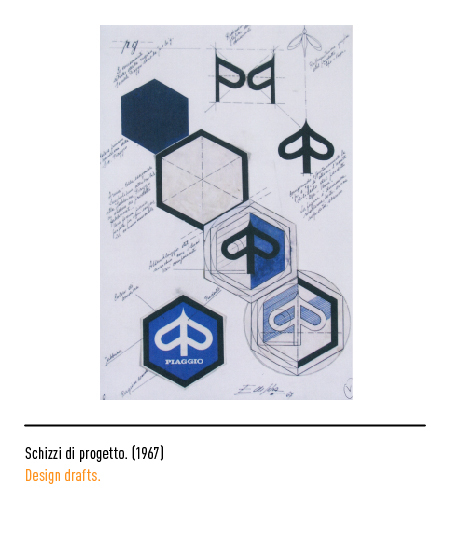 LOGO, Progetto Editrice, Milano, 2002.